Andrew and I didn’t have a huge amount of cash when we got married, so we haven’t actually bought ourselves any brand new furniture. What we do have is a mish-mash of what we were each using before we got married (drawers, bookcases etc) and a few things that we picked up second hand after I moved into what would be our first home together (couches). We did also have the assistance of an exceedingly generous friend who was moving overseas and passing on most of his possessions. Because of his generosity we were spared the expense of buying a fridge, freezer, washing machine and bed. He has our eternal gratitude for getting us started on this journey! Probably the best example of the mish-mash of furniture in our house is our bedside cabinets. Andrew’s is a dark brown mdf one with three drawers full of Man Stuff. Tania’s is an mdf box, unvarnished, that houses a motley collection of books, bowls, pens and mugs in a constant state of disarray. 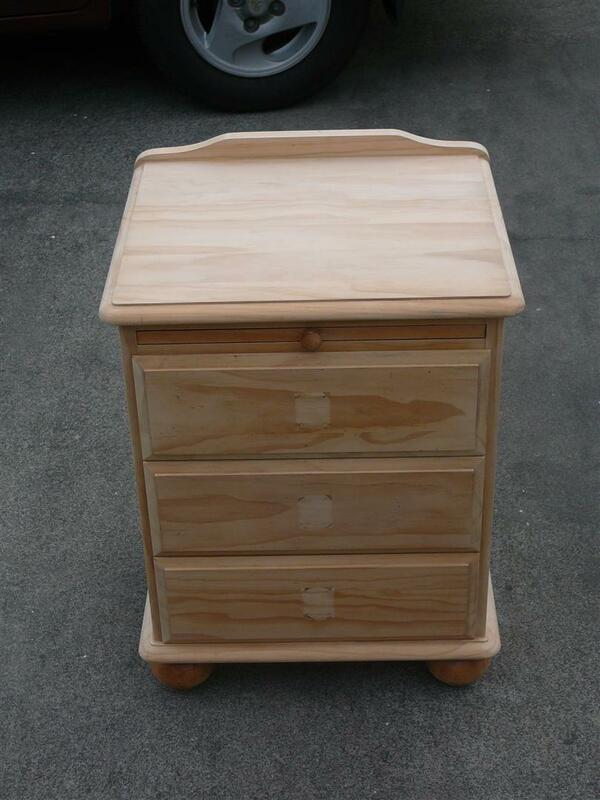 We were talking one night about getting some new bedside cabinets, and thought we’d have a Quick Look on TradeMe. Anyone who lives in New Zealand will know the dangers of that Quick Look on TradeMe – it results in bidding wars, random items arriving at the house a week later, and even once in our case, moving house two weeks later! This time, our Quick Look resulted in us buying two pine bedside cabinets for $30 each. One of them even came complete with the page of a book stuck to it! Our first job was the strip all the layers of varnish back, and expose the beautiful pine wood underneath. Lots of paint stripper required for this job! 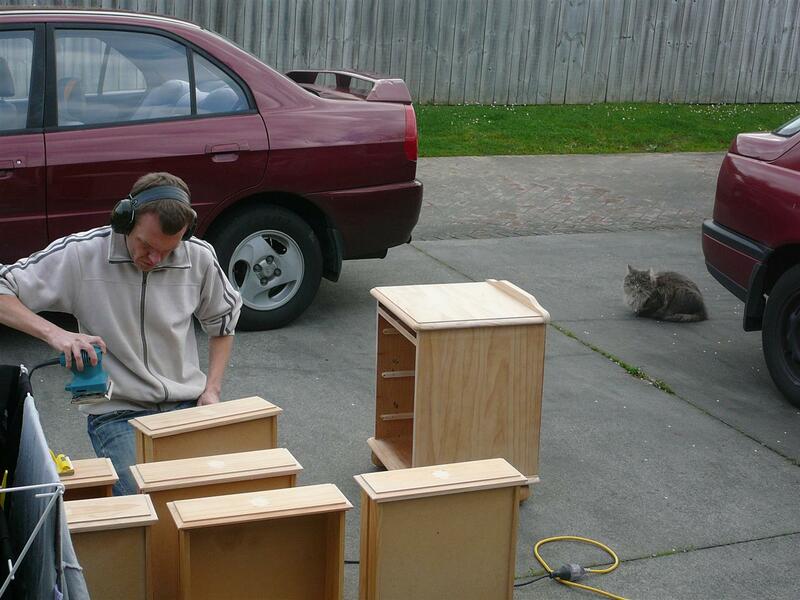 Finally all the old varnish was stripped off, and Andrew could get onto the most fun part: sanding back the cabinets. This was made much easier with the kind loan of my Dad’s electric sander. Dad’s done some restoration work himself in the past, so he knows what it’s like to be doing it by hand! Note our cat Fuzz supervising in the background! We are really stoked at how the finished product came out – now we just have to decide what colour we want to stain them! 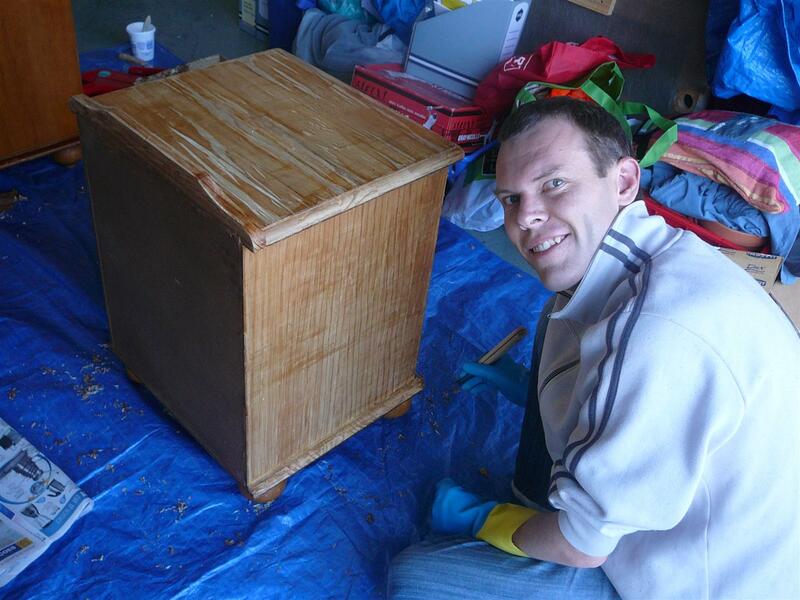 Finished – ready for staining! 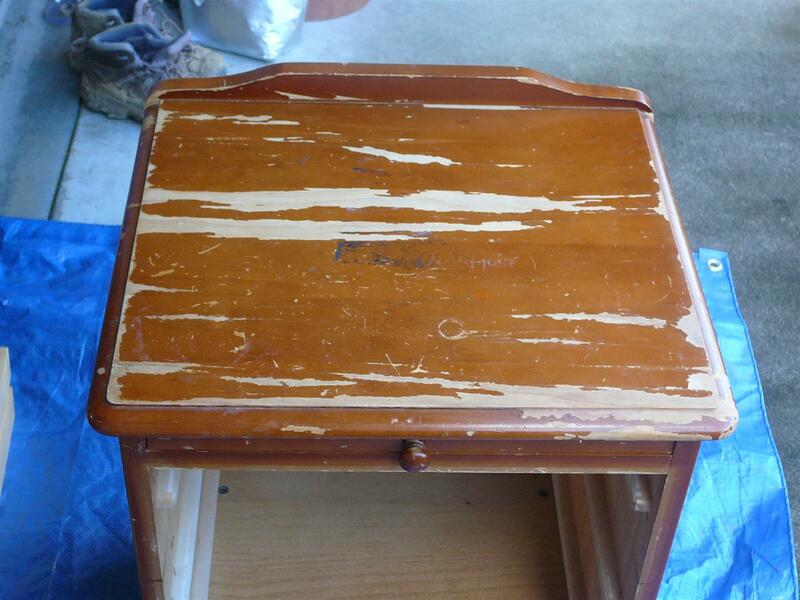 What experiences have you had restoring furniture? Success or otherwise? 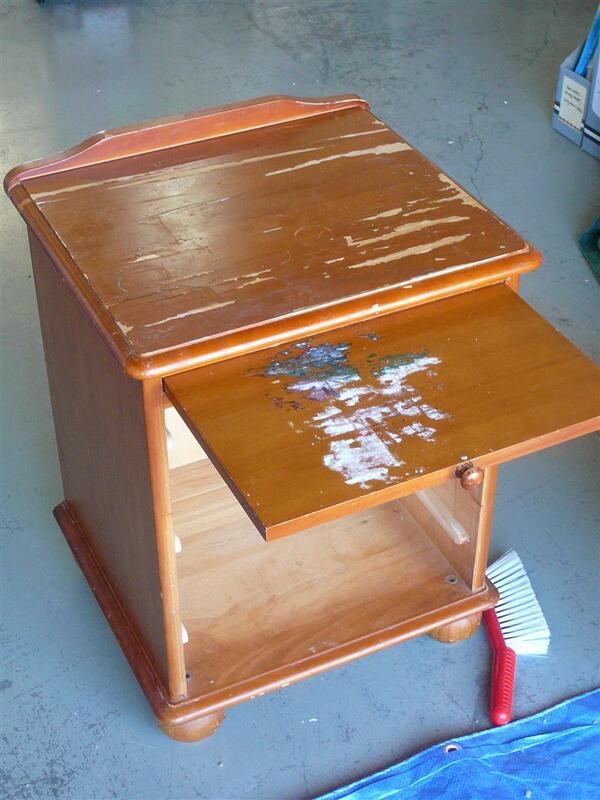 This entry was posted in DIY and tagged cabinets, DIY, furniture restoration. Bookmark the permalink. Those look like great solid tables. What a find!